Thanks to all the volunteers who helped erect the tree last weekend. There will be a school Christmas concert taking place in the hall on Fri Dec 21st. This will commence at 7 pm sharp. The first half of the show will be performed by the children of the school and the second half will be various variety acts from adults from the area. A great night’s entertainment is guaranteed. Admission is €8 per adult and school going children are free. A very happy Christmas to all our followers and we look forward to your continued support in the future. Memory baubles will be available to purchase from 15th Nov until 23rd Dec 2012. Personalise your bauble to place on the forget-me-not tree in Askamore Church. A mass will take place for all the names that have been placed on the baubles on December 23rd. Proceeds will go to Askamore Childcare Centre. Remember your loved ones wherever they may be this Christmas. Deceased, abroad, pets, sick or in hospital or indeed any intentions during the Christmas season. Personalise your bauble with a message, and hang them on the Forget Me Not Tree in Askamore Church. A mass will take place for all names on the baubles on Sunday 23rd December 2012. 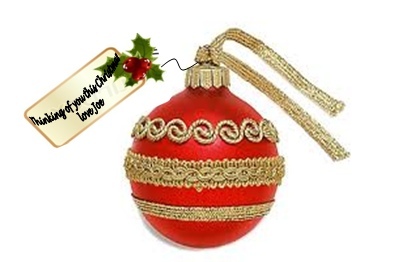 Baubles are available in shops in Carnew, Bunclody, Craanford and in Askamore Childcare Centre.